With swimsuit season virtually upon us, perhaps you have fat loss on your mind. 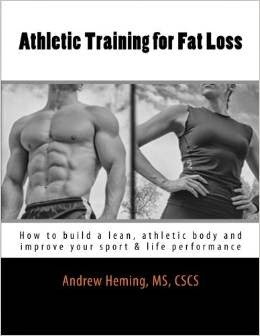 Right now I'm finishing my new ebook on Athletic-Training for Fat Loss so I defiantly have fat loss on my mind. There are many effect methods for shedding unwanted body fat and complexes are one of them. A complex is when you do a series of exercises in a row without rest and while keeping the implement (e.g. barbel) in your hands the whole time. Let's look at the pros and cons of complexes and I'll share my 3 favorite fat loss complexes with you. As with any training decision, it is important to weigh the pros and cons. Just because something can work well doesn't mean it is the best and most appropriate option for you. Not specific for conditioning. Note: I know we are talking fat loss here, but many people will also use them for conditioning. If you are looking for something to get the heart and lungs going this will work. However if you are looking for improving conditioning for a specific purpose (e.g. conditioning for a sport like basketball, soccer which would require sprinting drills with change of directions), then in this case specificity is important and complexes will not help much. 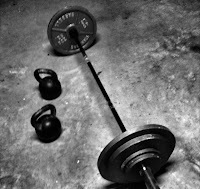 Pick exercises that you are very good - the fatigue from complexes is not a good time to learn how to do a new exercise. Try to order the exercises in a way that flows so you do not have to change the position of the weight to start the next exercise (you will see this in the sample complexes below). Go easy to start as these are brutal! Complexes would typically come later in the routine - after heavy, non-exhaustive strength work. Look to do about 3-6 reps of each exercise and about 3-6 total sets/complexes. If you choose to try one of these or any other complexes, make sure you are healthy (check with your doctor first) and skilled with each of the exercises in the complex. Also, be smart and do not let your ego get in the way of making a proper judgement on the load. Start too light (it will still be surprisingly difficult) and slowly build up from there. You don't want to get injured or get light-headed and possibly pass out during the training session. Remember, in this context, the purpose is a big metabolic hit for fat loss, not to set a complex record. Remember, quality over quantity.